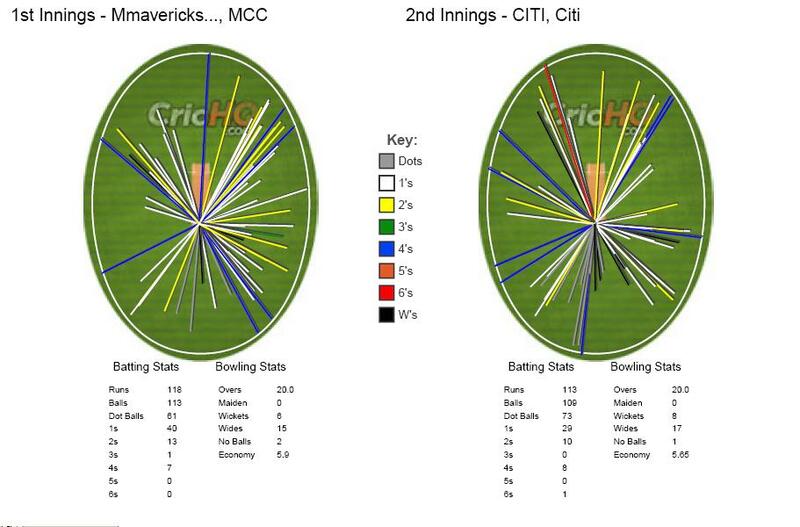 In a game that would set the trend for the entire weekend for low-scoring games, MCC batted first and Guna and Shankar got off to a good start going steadily at run-a-ball through the power play. Paddy kept a check on the scoring tucking the batsmen for room by ducking the ball back into the right-handed openers. 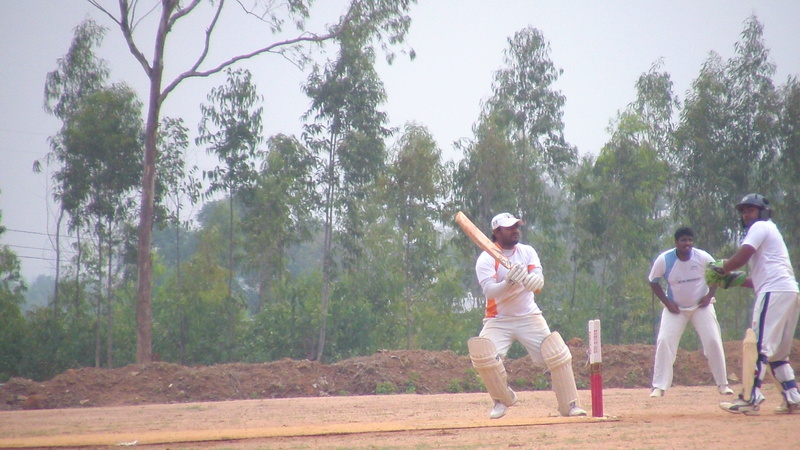 He was supported well by Shankar from the other end with a tight spell of his own. Thomas too kept the runrate in check as MCC struggled to break the shackles even though they were not losing wickets. 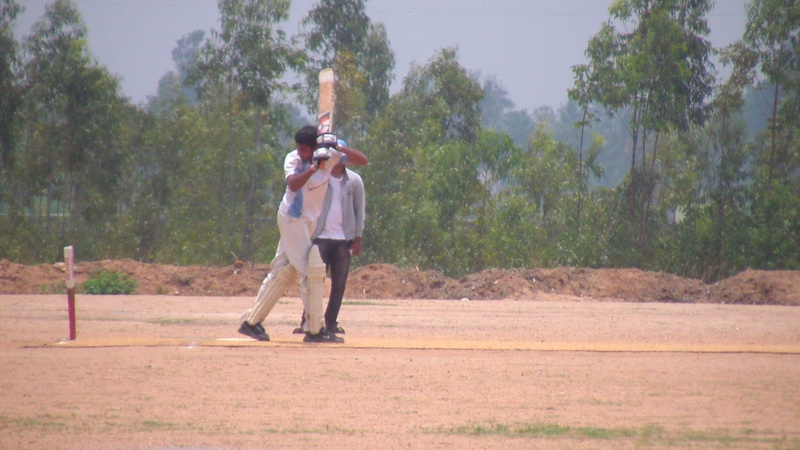 A game of cat-and-mouse continued till MCC decided to throw in their most dynamic batsman in Prasad at the fall of the second wicket in the 10th over. The wicket was slow and Sharath picked up the cue by bringing in Bharath, Rohit and Shitu into the attack to slow down the pace and it worked like a charm as MCC lost wickets in an attempt to up the runrate. At 86 for 5 in the 15th over, the innings seemed to be heading towards self-kill before Arun steadied the ship for MCC with a measured partnership with Bhargav. 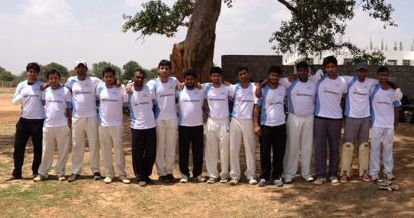 Arun’s 30 not out helped MCC eventually put up a fighting total of 133 on a tough wicket. ACT were coming off a brilliant chase versus ODW just a few days ago. 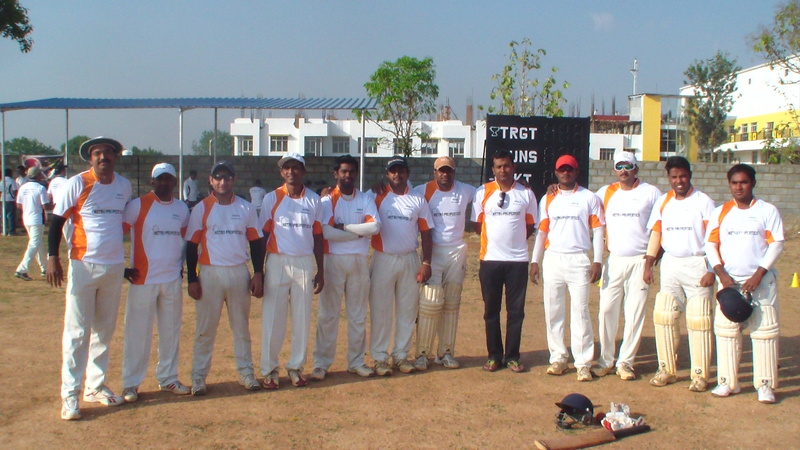 They lost their aggressive and in form opener Vinay in the third over followed by captain Sharath in the 4th over. MCC’s new ball pair of Guna and Chethan bowled tight lines as the ACT top order struggled to cope with the lack of pace in the wicket. Bharath walked in with his team struggling at 19 for 3 and found his feet immediately. He was fluent in his little innings and looked set to dominate the bowling while Paddy scratched around for 21-ball 9 at the other end. 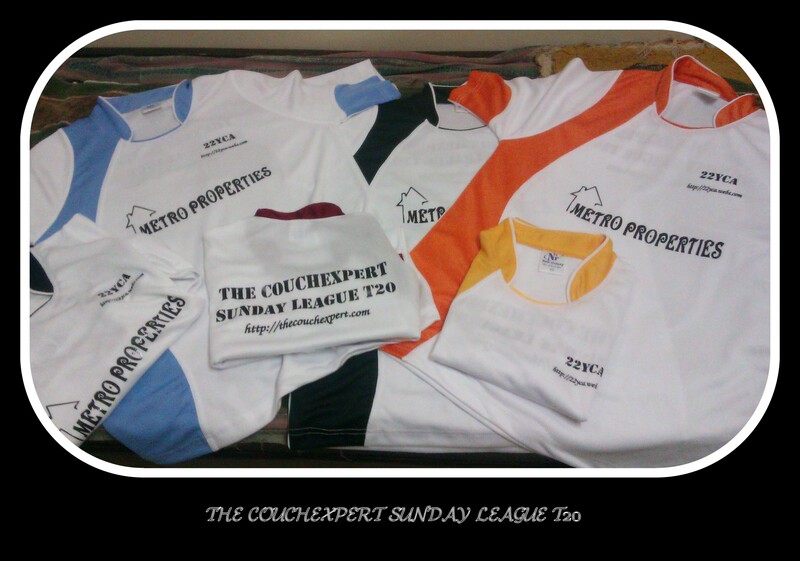 Venu came in to scalp the crucial wicket of Bharath in the 10th over to even the scales again. The match see-sawed in the last quarter of the game with P Mathur and Thomas holding the MCC bowlers at bay with a good partnership for the 7th wicket. Momentum seemed to be with ACT as 16 were needed in the last 3 overs. Thomas was run out in the 18th over and MCC built on that pressure and some tremendous death over bowling by Venu to push ACT back gradually. 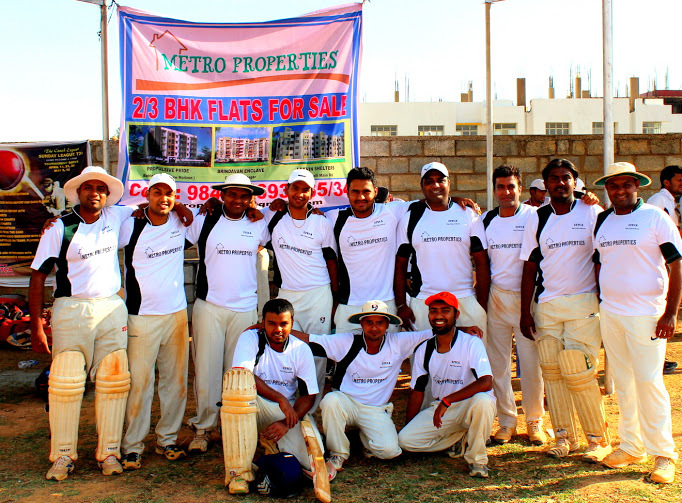 Venu’s four overs cost him a mere 8 runs while he picked up 3 wickets in the bargain. It is quite remarkable that three of those four overs were bowled in the 16th, 18th and 20th overs of the innings. 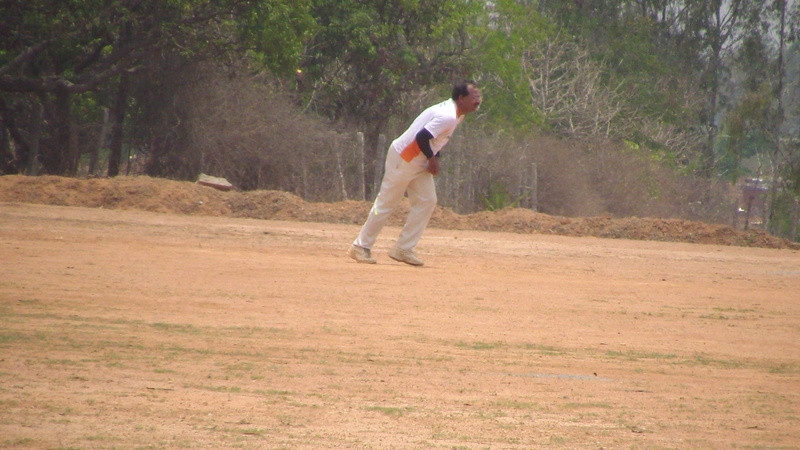 His spell played the most pivotal role in MCC winning the game eventually by 10 runs. 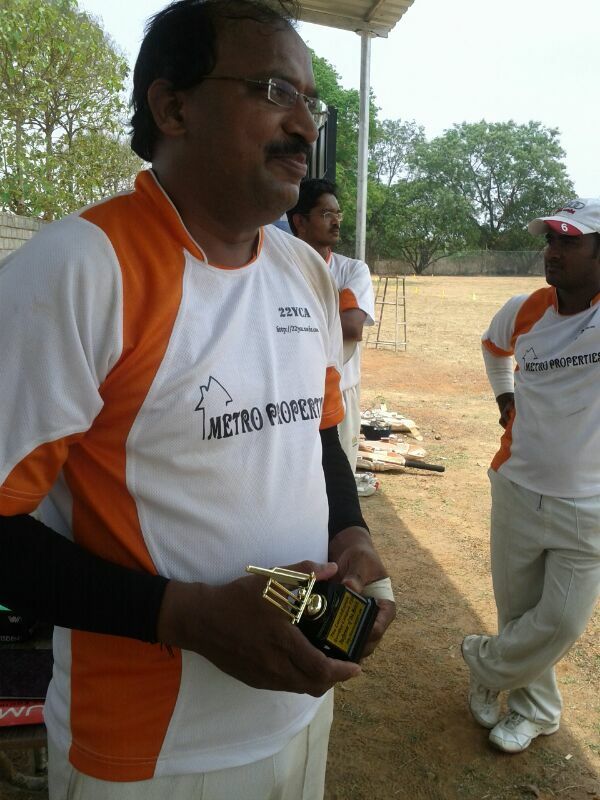 Performer of the Match: Venugopal. The league that hopes to showcase talent at lower rungs of Bangalore in a way never done before is all set to take off this Sunday. Corporates, private clubs from across the city of Bangalore are all set to showcase their wares to the world through this medium. The tournament itself will run in the format where each of the 6 participating teams will play each of the other 5 teams in a league format to decide the winner. 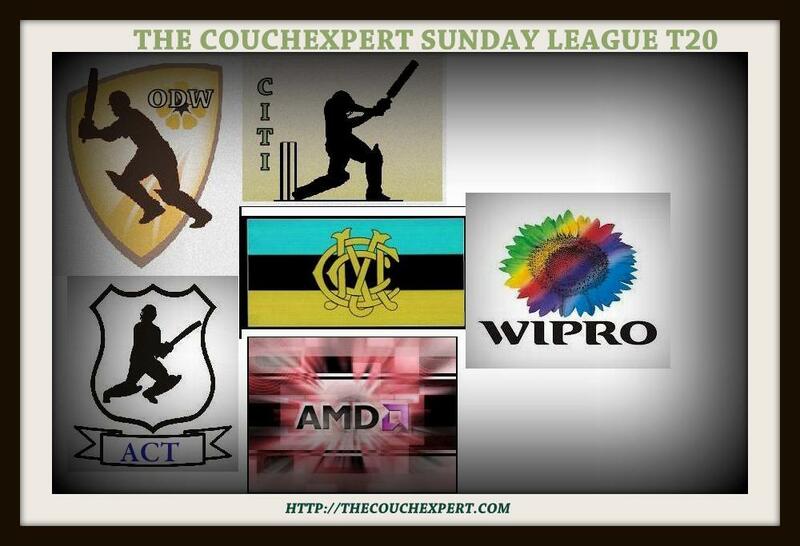 All games gets extensive coverage on this site with detailed match analysis and post game discussion with the captains by The CouchExpert’s staff. Wagon wheels, pitch markers, detailed player evaluation are among the things part of the coverage to help teams understand and analyze their various strengths and weaknesses. 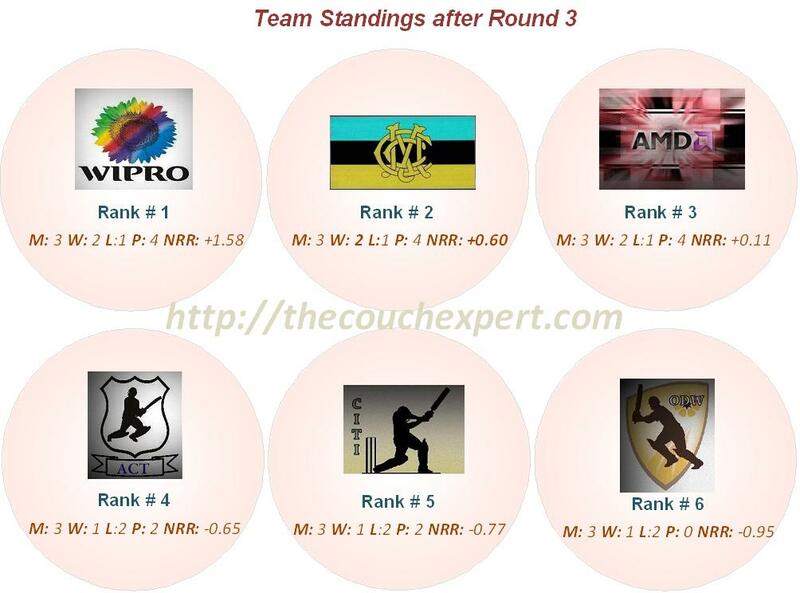 Sit back and enjoy the ride as these six teams battle each other over the next 5 Sundays to be crowned the best of the teams below the league levels in Bangalore. 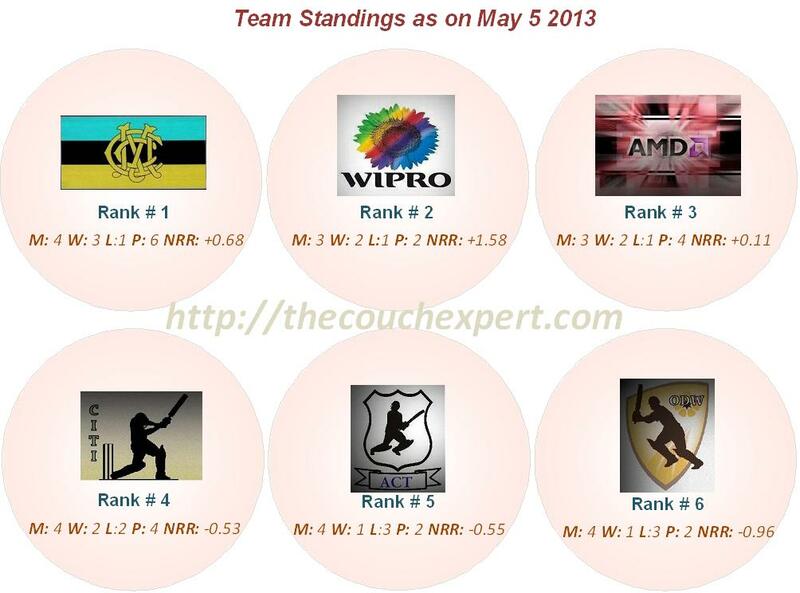 The CouchExpert team wishes all participating teams the very best in the tournament.